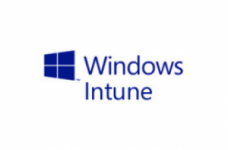 Windows Intune simplifies how businesses manage and secure PCs using Windows Intune cloud services and Windows 7—so your computers and users can operate at peak performance, from virtually anywhere. With the Windows Intune cloud service, IT can remotely perform security and management tasks—like deploying Microsoft Office—through a single, Web-based console. This helps to ensure that users anywhere are working with a well-managed PC—all that’s required is an Internet connection. You can also give your users the best Windows experience with upgrade rights to Windows 7 Enterprise and future versions of Windows.